3G-SDI, HD-SDI or SD-SDI capture device that doesn’t require drivers to be installed on your computer. 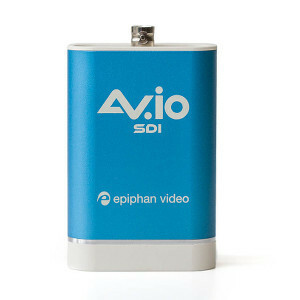 Like all Epiphan products, AV.io SDI is designed to be strong, durable and rugged enough for daily use (some of their products are even used in space!). AV.io SDI has robust, full-size connectors designed for reliable and repeated long-term use.